For New York carpet cleaning, NYC Flooring Group offers hot extraction system cleaning, which is recommended by carpet manufacturers for all residential and commercial carpet cleaning services. NYC Flooring Group also offers exceptional upholstery cleaning for such items as office chairs, drapes, sofas and cubicles. We recommend professional carpet cleaning at least once a year. 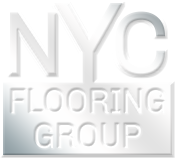 NYC Flooring Group has a record of success as well as vast experience in the cleaning and maintaining of all commercial carpets and residential carpets, area rugs, wooden floors, upholstery, air ducts, tiles and grout. Our price match guarantees that no matter where you look for carpet installation and carpet cleaning prices, you won't prices lower than ours. When you need professional New York carpet cleaning, contact NYC Flooring Group for an estimate.